As the year winds down, its important to take a look back and really take in the past year. While every year brings a number of new developments, 2013 seemed especially chock full. 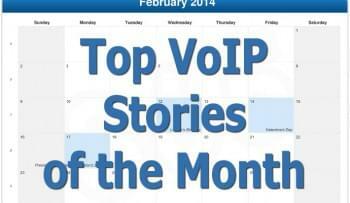 So, we took a look around and rounded up some of the biggest VoIP stories of 2013. The FCC has voted 3-2 to lift the ban currently prohibiting travelers from making in-flight calls. Though the FCC has reached its own decision, the word is not yet out on whether or not the ban will be lifted. VoIP users know and use “Endpoints” and/or “User Agents”. While these devices have been useful, they may have reached the end of their lives. Google’s WebRTC has driven these modes useless by making the browser the actual endpoint. Cisco, experiencing continues dipping in stocks and weakness in emerging markets, announced its plans to cut long-term growth outlook. As such, Cisco President John Chambers said the company hopes that refocusing their strategy will allow them to breathe new life in sluggish areas of growth. AT&T President Jim Murray explains the shift in detail addressing all the looming fears around the shift, and more specifically Senate Bill 636, which enables phones companies like AT&T to chase more efficient modes of telephony. As the new chair of the FCC, Tom Wheeler shows no hesitations of wading right into the real issues; however, he knows not everyone will be happy with his decisions. Wheeler looks to walk the line defining the best way for the FCC to stay involved with communications. Telesign introduces Phone ID Score, a tracking services which analyzes various data and information associated with a phone number. With this information, Telesign providers a detailed report that ultimately defines whether a user’s telephone number is trustworthy or not, similar to a credit score. 2013 has really been the year of WebRTC, and Vonage intends to fully capitalize on this. Vonage has begun to explore the mode as an alternative option to deliver new mobile functionalities to their customers. Skype API allows Skype’s messaging platform to become available across 3rd party platforms. As a result, users no longer need to turn on Skype to use the service. So, the company has announced its planned cease of Desktop API’s in order to ensure more consistent delivery across all platforms. Thanks to their bundling offers, Comcast has seen significant growth with their VoIP offerings. Currently, the provider controls about 25% of the market share in the industry; however, with mobile VoIP growing more popular, this percentage is expected to decline. Cisco announced their next phase in their advancement of collaboration solutions at their annual collaboration summit. Here, the provider announced new tools that’ll work to integrate work centric tools with those used in the home setting. As UC continues to expand and progress, many feel its time for a change in name. As more and more services and functionalities are added some feel its time to distinguish the service more distinctly. This article fleshes out the different amenities of UC and collaboration to provide a better look at what the title can/does represent to users. Tech expert, Kevin Kieller, outlines both UC offerings according to consumer necessities. Kieller does this by asking questions that apply directly to users regarding ease of support, standard-basis, integration, and more. This article details the best ranked VoIP CEOs to work for in 2013 based off existing and previous employees reviews and own experiences. As such, those job hunting are able to get a good feel for a company way before they decide to get involved. RingCentral sees a 42% increase in stock after announcing their initial public offering. This increase comes after months of speculation that saw the provider placed as a likely candidate to become the next publicly traded entity. AT&T and Microsoft announce a new partnership to pair AT&T’s VPNs with Microsoft Azure’s public Cloud platform. Take an an in-depth look at how this partnership will enable users private access to a public platform and ultimately eliminate bandwidth and security issues. Understanding the past if often the key that unlocks the future. Luckily, Vonage co-founder, VoIP pioneer and writer on the first FCC ruling Jeff Pulver, dishes on the founding of VoIP, as well as how the platform has been able to grow into what it is today. MX Lab has issued an article that recognizes and dissects a new type of scam email targeted at Skype users. Currently, scammers are sending Skype users emails capable of lifting personal information. These emails will appear as a new message notification; however, they are full with malware. This article notes what users should look out for. To celebrate their 10th anniversary, Skype has issued an official announcement of their continuing work to develop 3D video conferencing services. The company claims to see a lot of progress with TVs and computer screens being able to deliver quality 3D images; however, the capture technology is not yet able to keep up. Google will continue their partnership with Vidyo to continue to enhance video quality within the WebRTC platform. As such, Google will utilize Vidyo’s SVC extensions as a part of their WebRTC. This will be put into effect across various product offerings that span different stages of development and production. Since taking the reigns in 2009, Andy Miller has worked to drive a number of new changes within Polycom. As such, the CEO managed to turn the company around and put them back on the right track. However, with reports of irregularities within his expenses submissions, Andy Miller departed from the company this past July. Disaster Recovery is essential; however, it might be one factor you’re overlooking. To help determine if you’ve got all the recovery you need, this article discusses recovery with industry experts. Viber has a potential new model service, which would intercept regular phone calls and route them through their service; however, this would only work with those providers who had an agreement with Viber, allowing them call termination for international calls. Though Verizon’s 4G LTE network is used by a large portion of the VoIP community, it has been using SIP ALG to block 3rd party providers effectively (when working fully) and hinder functionality (at best). OnSIP takes a look at ALG in action to dissect how it works, what it does, and what it means for users. Verizon hit its mark with coverage of its 500th LTE territory. As such, the network now covers about 95% of the country; therefore, the provider has announced a cap on their rollout. Now, Verizon plans to continue focus on a late 2014 rollout of its first all VoIP LTE phone. Prism, a system the NSA uses to gain control of user information, has been acknowledged by the Obama administration; however, its intended use remains a little vague. While its usage is warranted by its collecting of foreign communications, its still open to abuse. 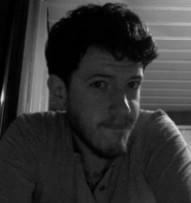 This article lays out everything there is to know about PRISM at this point. If you were upset when you found out Verizon granted the NSA access to over 100 million Americans’ phone records, you won’t be happy to hear that the government agency is also able to tap Google, Facebook, Skype, Microsoft, Apple, and more for information, too. This article outlines how WebRTC can be used as loop hole through which the NSA will not be able to access your VoIP calls. VoIP pioneer Jeff Pulver steps back into the VoIP business along with Jacob Ner-David (one of three original founders of DeltaThree) for a new outing, a cloud based mobile collaboration venture entitled Zula. As more and more tech-savvy employees enter the workplace, businesses will be forced to update their infrastructure to fulfill the needs of their workers. 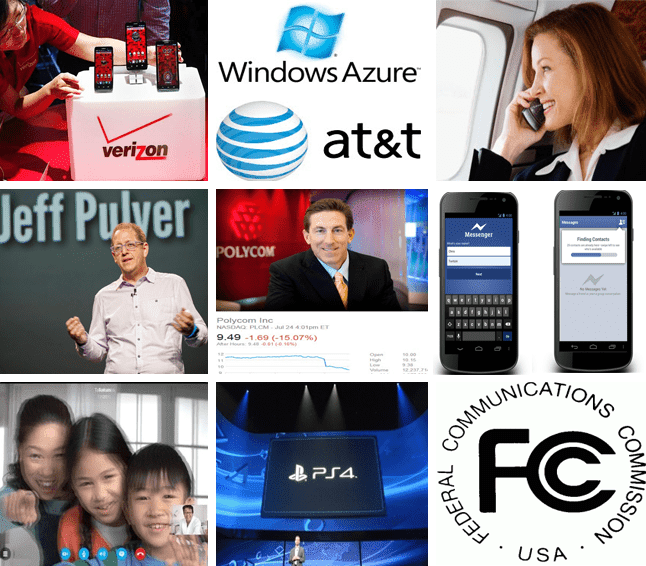 Some of these changes include BYOD, BYOC, VPNs, IP Telephony, Cloud Computing, and more. Next generation consoles (Xbox One and Playstation 4) look prime to include extensive cloud computing functionalities that will take gaming communications to a whole new level. After receiving multiple proposals from VoIP providers, the FCC granted providers direct access to the Number Pool. The commission announced this was to promote greater efficiency and innovation amongst providers. Facebook’s Mobile app, Messenger, has been updated to allow users to make free voice calls to their friends within the application. Microsoft sought to make mobile applications for Android, Windows, and iOS devices. The mogul added VoIP and Video functionality to their existing portfolio of applications. These apps would bridge the functionality enabling UC and Skype VoIP functionalities. Polycom and Microsoft built upon their relationship as Polcyom developed a video conference room system tailored specifically for Microsoft’s Lync 2013. As such, this partnership enables Microsoft Lync users to leverage the technology on hardware such as table controllers, microphones, cameras, and more. Oracle bought out Acme Packet in an attempt to gain tools which would allow for secure sending of data over the Internet. Acme Packet’s net-to-net portfolio typically allows customers to use data, voice, and video collaborations over various connections. In purchasing the company, Oracle will absorb this functionality. After announcing their intended merger of Skype and their Instant messenger in 2012, Microsoft announced the messenger would cease come March 15. As a result, users will receive updates urging them to merge their contacts with Skype. After the intended date, users will no longer be able to utilize Messenger. AT&T examines their stance on VoIP by traveling through their telephony journey. As such, the provider analyzes many of the steps they took and plan to take moving forward. The report travels from 2009 through January of this year and touches upon the priorities of the company along the way. The growth of mobile data has created a huge need for Wi-Fi, and specifically for bandwidth. As such, many companies have stepped forward with bandwidth leasing opportunities. This article outlines some alternatives; however, it also addresses why these alternatives aren’t likely all that viable, too. VoIP underwent a lot of changes in 2013. As more and more new platforms and modes come fourth, the telephony mode has grown to adapt and incorporate when possible. There are countless stories, mergers, patents, and buy outs throughout the year; however, not all are be-all, end-all. The above encapsulates the major points of 2013 in VoIP. Feel free to drop us a note and let us know if we’ve missed any stories.